Este Domingo, en el Markhall Kreuzberg, estaremos haciendo un Workshop de dibujo en los alrededores del mercado. Más información aquí. 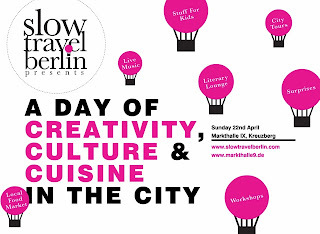 This Sunday we will be at the Markhall in Kreuberg, Berlin, doing some life drawing workshops in the Program of Slow Travel . If you want to learn more about, visit this page. Or the event in facebook here.